Tygervalley Montessori follows the ISASA 3 Term Calendar. 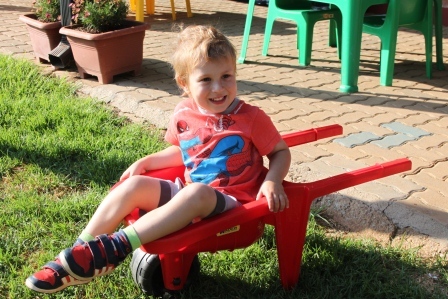 Tygervalley Montessori in Pretoria East, is a nursery school catering for learners aged 18 months to 5 years. At Tygervalley Montessori we aim to provide an intimate, home like environment where each individual learner is loved, understood, cared for and supported along their path of learning. A peaceful education where children can find their voices in a democratic community. A healthy and respectful attitude toward learning where they can learn and grow as a whole person. A strong and positive sense of self-esteem that invokes vibrancy and trust among children and adults alike. Inner discipline, initiative, and persistence, as the children can develop thinking and working attitudes that empower them to take over their own growth. A love and appreciation of the earth, nature and all life has to offer, that honours and encourages children’s vision, tenacity, initiative, imagination, generosity, and exploration.